Wow! 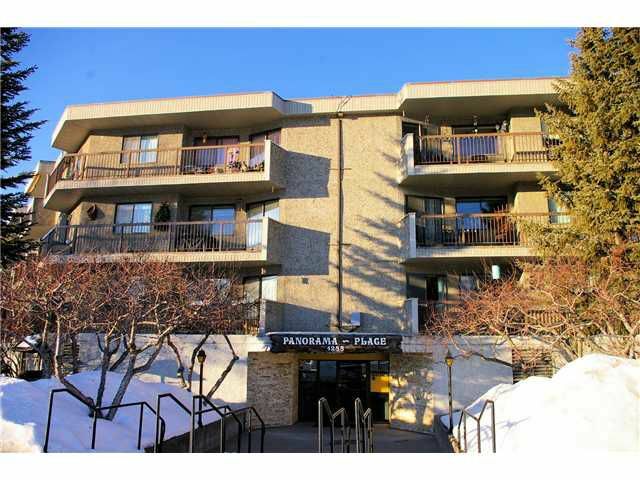 This is one of the very best units in highly sought after Panorama Place. Owner states he has spent over $60,000 on top quality renovations that have created a truly beautiful apartment. Renovations include real hardwood and ceramic tile flooring, completely renovated bathroom with lots of ceramic tiling, jacuzzi tub and real granite counter tops, lovely updated kitchen with stainless steel appliances, new doors, trim, sculpted ceilings and more. All this comes in a complex with the most amenities, including elevator, indoor pool, sauna, exercise and recreation rooms and a workshop. Strata fee includes heat/cable/city UT/security /parking/gardening etc. Even has a great view of Cranbrook Hill and the city playing fields.